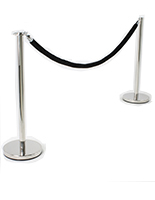 These chrome crowd control posts are great for events because they feature a modern design and can be paired with elegant velvet ropes (not included). 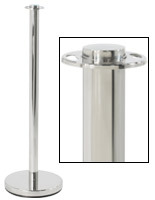 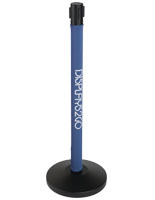 Made of durable stainless steel, these stanchions have a sturdy weighted base that can withstand high traffic environments. 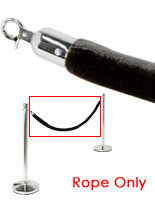 The crowd control posts also have a rubberized bottom that will not scratch flooring. 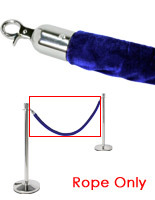 Another feature of the stanchions is their easy-to-assemble fabrication; users simply need to screw the pole into the base. 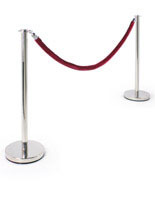 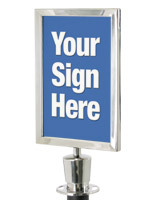 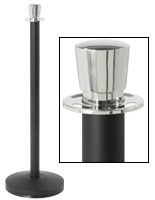 The event posts for velvet rope sport a sleek polished finish that adds class to any location. 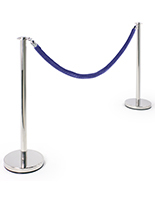 Whether they're used for forming barriers, creating lines or separating areas.